Granules India shot into the limelight when it was conferred the prestigious title of “100 bagger” in Motilal Oswal’s 19th Wealth Creation Study. The report identified seven small cap stocks as potential 100-baggers. The aggregate simple average return from the seven stocks in the period of 33 months that have elapsed is 63%. On an annualized basis, the return works out to 23%, which is quite reasonable. Tactical error in going overweight with Pharma and IT stocks in 2014? Prima facie, the weightage given by Motilal Oswal to the Pharma stocks in the 100-bagger portfolio (four out of seven) appears to be a tactical error. In 2014, Pharma and InfoTech stocks were flying high and it seemed that they could do no wrong. However, presently, Pharma stocks are in the doldrums owing to numerous factors such as the USFDA crackdown, price capping by the government, rupee appreciation etc, etc. Similarly, InfoTech stocks are out of fashion now owing to Visa caps, rupee appreciation etc. Tata Elxsi, the solitary InfoTech stock in the portfolio, has disappointed sorely by giving a YoY return of 2% and a 24-month return of (-) 22%. Of course, the return since the time Motilal Oswal recommended Tata Elxsi is a fabulous 165%. It is a matter of common sense that stocks which are fundamentally sound should be bought when they are in the doldrums and are available at throwaway valuations. “My suggestion to investors is one should look at two sectors which have got beaten down because of specific news that seems adverse in the short term — IT and pharma. These sectors have got beaten down on specific news flow from America and I also agree on the earning front the news has not been pretty but at least you are buying into solid franchises here which have long term credibility and if I leave aside the top four pharma stocks, I will go into midcap pharma. Kenneth Andrade explained that while Pharma stocks are facing a “business risk” owing to the USFDA headwinds, there is no “mortality risk”. 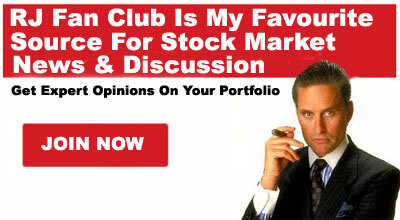 He also emphasized that investors who buy undervalued stocks usually make money in a cycle of three years. “There is a business risk which is why you are getting them at that valuations which are there …. Even if the business risk is real, it does not mean that mortality risk in those companies are very high. .. if you go back three years and if the market had hit a new high, it was led by pharma and IT. Look at where the valuations were and look at how earnings had to grow. .. Look at the market right now. The underperformers three years back are actually the outperformers right now. You do not necessarily have to make a business case for the guys who are outperforming the market to continue to grow because the risk that you are actually putting or bringing to the table is that the multiples are already high. .. Three years ago if you bought into valuations, you made money. .. There are opportunities that are coming your way. And these two mainstream sectors are showing you that there is reasonable amount of business risk but for that business risk that you are going to take you are also getting it at a price point that you would probably never get it at. .. In pharma, there is a lot of investment that has gone into the ground. There is a lot of investment. Over the next year or two, if you can get all that investment that has gone into ground at a price, it answers your case. Here I would just like to say you should continue to buy into cheap valuations till that inflection point when growth actually starts coming back. 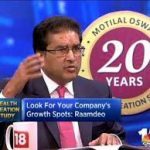 Raamdeo Agrawal is also very bullish about Pharma stocks. 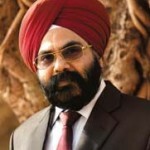 “USFDA is a temporary problem. You must not read into anything in the sense that if the importance of size and importance of Indian pharma is growing, they also need to gear up to the required standards of the US. Indian generics have no global alternatives for the long term. I see a sign of maturity scaling up in Indian pharma. Most pharma companies can throw up wonderful opportunities for investors to buy these stocks 30-40 per cent cheaper if you have faith in them. The business opportunity is beyond doubt because the world needs generics”. Sanjiv Bhasin, the veteran stock picker, is a strong believer in the prospects of the Pharma sector to deliver multibagger gains to investors. “Pharma is an evergreen business, it is going through the weakness because right now the prices are in your favour and we know the circumstances which have forced that. But if you do not buy a basket then may be two can outperform or two can underperform, the idea is to make pharma your asset class for the next six months because this consolidation in the market can last right up till August September. 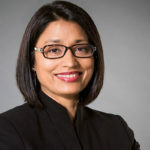 Pharma can be a very good conduit for playing the market and with an uptick or any positive from FDA, there’s a possibility that almost 2200 patents will come on in the next six to nine months”. Edelweiss has recommended a buy of Granules India for a target price of Rs. 228, which represents a whopping 88% upside potential from the CMP of Rs. 125. Granules India Limited (GIL) reported revenues of INR 386 cr, showing an annual growth of 10%. The strong uptick in numbers has been primarily on account of higher formulations (FD) sales (especially Ibuprofen) by the company. Geographically, regulated markets of North America and Europe continued to contribute nearly two-third to the overall topline with Europe growing at a stronger 21% y-o-y. 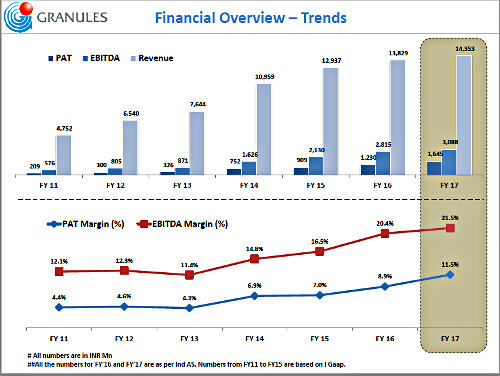 Improving product mix due to higher formulations sales led to improvement in gross margins by 332 bps to 53%. The management continues to guide for higher FD sales while leveraging upon backward integration into APIs for margins improvement. In view of this strategy, the company is undergoing expansion in its key APIs which are expected to generate incremental inflows from H2FY18. Further, GIL continues to benefit from contract manufacturing and direct formulation sales in regulated markets through multiple joint-ventures (JV) and acquisitions. Although, profits from its Omni-chem JV has been muted this quarter, GIL is certain to compensate for it in the subsequent quarter leaving the annual targets unchanged. In a nutshell, we believe the management’s clear vision of growth coupled with operational efficiency, supported by growing order inflows and strong brand reputation of the company, will contribute substantially to GIL’s future growth strategy. Formulation revenues have grown by 22% to contribute 39% to Q1FY18 revenues from 36% earlier. This is largely attributable to higher Ibuprofen sales which nearly doubled y-o-y to INR 73 cr in the current quarter. Going forward, we estimate similar increase in formulations sales and corresponding uptick in gross margins with major contribution from Ibuprofen and Metformin. With new expanded capacity in Metformin becoming operational from FY18, we estimate steep growth in its sales as well. GIL gets profit share from two of its joint-ventures i.e. Biocause and Omni-chem. Revenues and profit share from Biocause JV has been higher than estimates due soaring Ibuprofen demand globally. The company received INR 5.5 cr from Biocause JV as against INR 3 cr y-o-y. However, from the Omni-chem JV of contract manufacturing, it incurred a loss share of INR (2.6) cr as dispatches scheduled for the quarter shifted to subsequent quarter resulting in postponement of revenue accounting. Resultantly, we estimate contributions from Omni-chem JV for the entire fiscal to remain in line with our estimates of INR 16 cr. HDFC Sec has recommended a buy of Granules India for a target price of Rs. 185. After several quarters of muted top-line growth, GRAN reported 10.2% growth in 1QFY18. Top-line came in at Rs 3.78bn, 5% ahead of estimates. The EBITDA margin at 20.3% was up 40bps YoY, in-line with expectations. While the gross margin expanded ~330bps YoY owing to the improving business mix, higher operating expenses prevented further expansion in the EBITDA margin. PAT was Rs 368mn, down ~5%YoY, largely owing to lower other income (Rs 4mn vs Rs 30mn YoY) and a higher tax rate. We continue to believe that strong top-line growth will kick in starting 2HFY18. Mgt expects ~15-20% top-line growth, and ~25% profit growth in FY18, on the back of expected ANDA approvals for the US market, core business capacity expansion kicking in and a continued ramp-up in the Omnichem JV. However, the full impact of these factors is likely to be visible only from FY19. Overall, we expect GRAN to report ~17% revenue CAGR, ~21% EBITDA CAGR and ~24% PAT CAGR over FY17-20E. Maintain BUY with a revised TP of Rs 185 (16x June19E EPS). – Formulations: The finished dosages segment grew ~19%YoY to Rs 1.5bn in 1QFY18. GRAN is on track to begin its scale-up of the US formulations segment starting 2HFY18, with 3-4 products expected to be launched. Two TAD dates in 4QFY18 have provided further visibility on this front. It also expects to launch 4 products from its USpharma tie-up, where we expect GRAN to generate at least US$ 20mn in FY19E. From this basket, Prasugrel is expected to be the first, with a launch in Oct-17 likely. GRAN is also planning to file 20-22 ANDAs over the next two years, which would take its total ANDA filings by FY19 to ~35. Foresee ~26% rev. CAGR in the formulations business over FY17-20E. – API and PFIs: Growth in the API and PFI segments was less impressive at 2% and 10% YoY respectively. Going ahead, we expect a pick-up in PFI sales, owing to increased capacities. API sales are likely to be muted, owing to the increased need for captive consumption. Overall, we expect both segments to grow at ~8% and 11% CAGR respectively, over FY17-20E. The latest investors’ presentation throws light on the initiatives for future growth with respect to the New API Division, the Research Centre, and the subsidiaries. Details of the financial performance are also set out. One of the most dreaded aspects for Pharma companies is the inspections by the US FDA. Fortunately, Granules India has received an all-clear signal with respect to the Gagillapur unit. The Establishment Inspection Report (EIR) certifies that there are “no observations” which means that everything is ship-shape and there is nothing to worry. In addition, Granules has received approval for several important drugs for diabetics etc which implies that it has won the trust of the mandarins of the USFDA. It is obvious that we cannot defy the unanimous opinion of leading experts that Granules India is indeed a good buy. It is better if we obediently follow the advice and tuck into the stock in a systematic manner! This below description fits perfectly for Lincoln Pharma. Best growth company in pharma and meeting all the requirements mentioned by Saurabh Mukherjea of Ambit Capital in this page. Compared to Lincoln Pharma Q3 there were 12 new countries markets that Lincoln Pharma has entered in Q4. Due to this the export sales would have definitely increased. These are the 12 new countries added in last quarter, taken from its earnings presentation. France, West Indies,Ethiopia, Matadi, Namibia, Seychelles, Sudan, Yemen, Zazibar, Afghanistan, Iraq, Kazakhstan. Now based on last quarter they have presence in over 60 countries, in Europe, Latin America, Africa, Asia Pacific, and South East Asia and 22 states across India. In coming quarters this will keep increasing and they will meet their target of having more than 50 per cent of their total sales in Exports in the coming years. In the mean time they have also applied for USFDA approval. If that comes then this Lincoln Pharma stock can even reach Rs.1000 levels from present level of Rs.160. It is possible since Medicamen Biotech which has sales and profits not even a third of Lincoln Pharma is quoting at Rs.620. Just seeing this shows how undervalued Lincoln Pharma is at these levels of Rs.160 and to what levels it can reach in future. Khanna has a strong and valid point. Lincoln and Granules could be looked into. Same holds good for IT. Some Mid cap companies with niche differentiated models could become winners. Persistent could be one such company. Jubilant Life is yet another bet.In my view turnover should also b considered. Can we bet on Sun Pharma ? It’s trouble is also temperary. >80% promoter holdings in Granules is pledged. How much of a concern is this? The numbers look interesting and there is enough conviction from the investment community. But the promoter pledge is creating some doubts in my mind. Getting uSFDA nod for metformin is not a game changer . the drug is prevalent among almost all pharma companies and nod may not boost the sales . Motilal Oswal has put a target of Rs.200 on Granules. I am expecting Granules to touch at least 600 in future, it is on my buy list for long time. I am waiting for it to provide a low risk buying opportunity. Fundamentally it looks strong, only needs technical strength to take long position.